A strong, stable and fast internet connection has become a critical component of many households. From students, parents and entrepreneurs to gamers, media lovers and audiophiles – everyone who uses the internet needs a reliable router in their home or office. If you want to find the best wireless router for your needs and budget, there are few features you should look for to get the most out of your investment. Whether you enjoy gaming online, surfing the net or working from home; there’s a wireless router for you. This guide will help you find the best wireless router to fit your lifestyle. How many people do you have in your household who use the internet? If you live with several other people who use the internet, your household might be considered to have “high Wi-Fi traffic”. If that’s the case, you’ll need a wireless router that can handle a lot of bandwidth. But the number of people may not always be as important as the number of devices connected to the network, which leads to the next question. The key thing to keep in mind is the number of devices that will be in use at one time (“in use” meaning connected to Wi-Fi). If you exceed the number of devices that your router can handle, you may not be able to connect additional devices until a spot is freed up or you may experience a major reduction in speed. The best wireless routers will be able to support several devices at one time. What type of activities will you be using the internet for? Some internet activities are more bandwidth-intensive than others. For example, if you’re gaming online, live streaming and watching YouTube videos, you’ll need high-speed internet as well as a fast wireless router. Remember: a high-quality wireless router doesn’t necessarily mean you’ll get faster internet. The speed of your internet depends on what type of internet service you are paying for. However, you need to have a router that’s fast and efficient enough to keep up with your high-speed internet (we’ll talk more about this later). What exactly is a wireless router? A wireless router is a device that acts as an access point to connect to the internet, both wired and wirelessly. This means you can have the router in one room and enjoy wireless internet in any other room, or you can connect your computer straight to the router for an extremely fast, stable internet connection (provided you have fast internet in the first place). A wireless router is not the internet itself; you have to pay for internet that is provided to you by your local internet service provider. However, you need a router in your home so that you can use your internet services. Most internet service providers will let you rent a router for your home. This can get expensive over time, so you will ultimately save money on your internet bills by having your own router instead. Owning a personal router can give you access to more controls and features that might not be available with a rented router. Choosing your own router also means that you can find one with the right Wi-Fi range and features for your household. Remember the old days when your computer had to be wire connected to the router to grant internet access? With wireless routers, you don’t have to deal with cable limitations anymore. However, it’s important to note that some computers may not come with wireless capabilities and will need to be wire connected to the router. Luckily, most wireless routers have ports that allow you to connect your devices with a cable if you choose. Always make sure to look at the number and type of ports that a router has, and consider how many ports you’ll need now and in the future. Three of the most important specifications to look at when shopping for the best wireless router is speed, range and security. As previously mentioned, the speed of the router doesn’t really mean the same thing as the speed of your internet. However, the speed of your router will have an impact on your Wi-Fi experience. If you have a really fast internet, you need a router that can handle the speed (it’s all connected!). Why is router performance important? There’s nothing more frustrating when all you want to do is watch a video or chat with your friend, and the video keeps buffering or stuttering. In combination with high-speed internet, a high-performance wireless router will help ensure that you can maintain a solid wireless connection wherever you are within the router’s range. Also, if you’re paying the extra money for ultra-fast internet, you want to invest in a router that’s equally high performance so you don’t lose out on any speed. When shopping for wireless routers, you may come across products that are either “N” or “AC”, followed by numbers (indicating speed). In general, the best wireless routers will be AC because these units are faster and have better performance than N routers. Just like cellular towers, a wireless router will only be able to reach a certain distance before you can no longer connect to it. To get the most out of a wireless router, a lot of people also use Wi-Fi extenders or choose wireless routers with external antennas to ensure that the entire household have access to clear, stable internet. If you have a large house or you need a lot of available Wi-Fi distance, you’ll need a high-range wireless router, preferably with antennas; or you could go with a mesh home Wi-Fi system. If you’re willing to pay a little more for optimized distance and connectivity, you should look into getting a mesh Wi-Fi system. A mesh system is typically a router that comes with one or more nodes in the form of additional units that may look similar or identical to the main router. The idea behind a mesh system is that you set up the main router in the center of your house and place the others in different rooms as you see fit. The router and the nodes will provide “mesh coverage” to your house for a more optimized wireless signal. In addition to having a wide and powerful range, you’ll also need to ensure that you can put your wireless router in a central location with minimal interference. You should avoid putting it under or behind furniture as this can cause interference with the wireless connection. It’s also ideal to have your device within clear sight of the router (this is where extenders or mesh nodes come in handy). Sometimes appliances and devices such as microwaves and cell phones can cause additional interference. If you want to test the signal strength of your wireless router, there are several techniques and applications that allow you to monitor your network signal as well as your network speeds. Overall, you want to make sure that you invest in updated hardware if you want the best possible wireless range from your router. If you want to futureproof your router, it might also be a good idea to spend extra money for a more powerful option with faster speeds and more advanced data management technologies. Wireless technology is always changing and advancing, so be sure to stay on top of the latest news on routers, internet services and devices. To learn more about how to optimize the wireless range of your wireless router, check out this article. As much as you like your neighbors, you probably don’t want them accessing your Wi-Fi without permission. More importantly, you want to make sure you have full control over your network at all times while avoiding any activity from viruses, malware or hackers. Additionally, you may also desire parental control features to help keep your kids safe and restricted as needed. The router is the gatekeeper for all of your devices. With so many devices being used nowadays, router security is absolutely essential. The simplest and easiest aspect of security for the router is the encryption that is attached to your Wi-Fi password. Essentially, encryption makes your Wi-Fi password harder to break into. Bear in mind that, not only your router has to support this encryption, but so do the devices that you are connecting to your router. While the encryption is important, the strength of your password can be equally important. Choosing a short password or one that is easy to guess (your name) can be an easy way for outsiders to get in and do the damage to your network. Having a long password with numbers, upper case, lower case and special characters can help improve your chances of no one guessing it correctly. The firmware of your router is also a way to keep your network safe. If your firmware has not been updated, you may be at risk of a breach. Keeping your firmware up to date is recommended by all modem and router manufacturers. Think of it as the same as keeping your anti-virus scanner updated; there may be new viruses in the world that your scanner doesn’t know about and can’t detect, so it’s essential to stay updated. Along with security updates, updating firmware can also improve or add features to your router. One a final note, the best wireless router will have an intuitive user interface with an easy-to-use downloadable app. The best router apps will let you control, monitor and customize your network so that you can enjoy your internet according to your unique lifestyle. 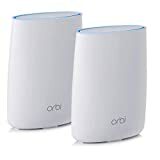 The Netgear Orbi is a mesh Wi-Fi system that comes with an additional node to cover dead zones and provide up to 5,000 square feet of wireless range. 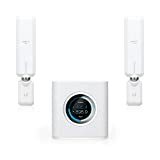 This home mesh Wi-Fi system uses Tri-band technology to maintain strong device connectivity, which ultimately allows you to use more devices on the network without losing a lot of speed. The Linksys AC1900 Dual Band wireless router is a powerful, high-performance router designed for households with gamers, movie lovers and media streamers. This AC1900 dual band wireless router comes with three external antennas for added range. The AmpliFi HD Home Wi-Fi system provides mesh coverage to your home with dual-band technology and two conveniently designed nodes. The main router has a smart-touch display so you can keep track of your wireless status at all times. The Linksys Velop is a compact home Wi-Fi mesh system that comes with two nodes along with a minimalistic design and a cleaner appearance. This home mesh system can cover up to 6,000 square feet and provides fast wireless speeds throughout your home using tri-band technology. The Google Wifi system provides a unique and refreshing option for wireless home coverage that minimizes the mess of extra cables. 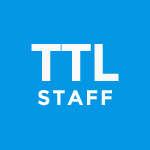 This system can be controlled via a simple app that allows you to manage your devices; you can even prioritize certain devices to ensure the fastest speeds possible when needed. 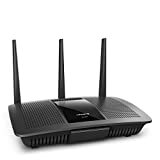 The TP-Link AC1200 is an affordable wireless router with dual-band technology and three external antennas with beamforming for a more seamless connection. Although this router wouldn’t be ideal for online gaming and 4K streaming, it still comes with plenty of ports and decent coverage at a cheap price point. The Netgear Nighthawk X8 R8300 is a powerful wireless router with four active antennas, six Ethernet ports and tri-band technology for ultimate coverage and speed. This router is one of the best wireless routers for gaming because it can support multiple users, faster internet and a very large wireless range. The eero Home Wi-Fi mesh system includes two additional beacons and WPA2 encryption for added security and privacy protection. This tri-band mesh system is meant to cover a 2-4 bedroom home, but there’s also options for 1-2 bedroom and 5+ bedroom homes. 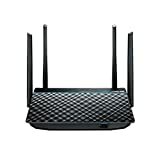 The Asus RT-ACRH13 Dual-Band 2×2 AC1300 is a dual-band router with four external antennas to help accommodate a wider range and faster performance. This home router is very affordable and even comes with USB 3.0 so you can share data throughout your network using external drives. The TP-Link Deco M5 is a whole home mesh Wi-Fi system that can have up to 4,500 square feet of coverage using compact units that help you stay connected in every room of your home. This dual-band mesh system comes with several security features, including Cyber Security to help protect your devices from viruses and malware. The Synology RT2600AC is a fast dual-band router with a 1.7GHz dual-core processor and intelligent management tools to optimize performance. This powerful router allows you to monitor traffic on your network so you can filter content and stay secure for better peace of mind. The Linksys WRT 3200 ACM is a tri-stream wireless router that uses MU-MIMO technology to ensure that all the devices on your network stay connected without slowing down. This router also features open source firmware so you can have greater control over the capabilities and limitations of your network. Internet access provides us with entertainment, education and the ability to connect with the world like never before. If you want your home to have the best wireless connectivity, you need the best wireless router that works for your household size, lifestyle and budget. Whether you’re searching for the best wireless router, Wi-Fi extender, streaming device or USB Wi-Fi adapter, you have plenty of options when it comes to wireless technology. 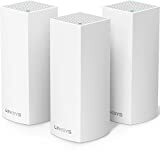 Linksys Velop Tri-band WiFI System: If you’re willing to spend more for lots of coverage and faster internet speed distribution, the Velop is a great option. With this mesh system, you can video chat, watch 4K movies and game wherever you are throughout your home. 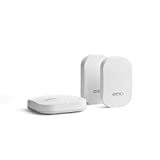 eero Home Wi-Fi System: The eero Home Wi-Fi system is a convenient option because you can simply plug the nodes into a standard outlet wherever you need it. This is also a great choice if you want something simple and straightforward with dependable security features. Google Wi-Fi System: This convenient mesh router replacement has a clean, simplistic design and you can expand the system according to your range needs. This is a highly rated option if you want great connectivity and the ability to have lots of control over your network activities. Netgear Nighthawk X8 R8300: If you’re looking for a router with plenty of ports, fast Wi-Fi and lots of coverage, the Nighthawk is a good choice. For gamers, this router includes “Dynamic QOS” so you can prioritize your Wi-Fi connections to get the best performance out of your gaming platform. ASUS RT-ACRH13 Dual-Band 2×2 AC1300: This high-performance router is very affordable considering it has good range and fast speeds. It also comes with a few essential ports to meet both your wired and wireless needs. Linksys AC1900 Dual Band Wireless Router: While this router isn’t the cheapest option, it’s still a great budget router choice because it comes with Multi-User MIMO technology and ultra-fast wired transfer speeds. If you want something affordable and fast to setup, you might consider this Linksys router. Remember: your internet is what keeps your devices connected, but your router is what keeps your internet connected! I wonder how much difference there will be between my default router and one of these.